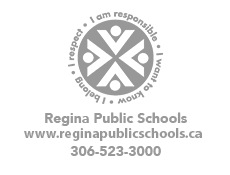 The Plainsview School Community Council Annual General Meeting will take place on June 11th at 6:30 PM. Kindergarten registrations are now being accepted for the 2019-20 school year. The Plainsview School Community Council Annual General Meeting will take place on June 11th at 6:30 PM. We will be meeting in Studio 1 on the second floor of the school. Kindergarten registrations are now being accepted for the 2019-20 school year. These registrations can be emailed to plainsview@rbe.sk.ca or dropped off at Plainsview School. The Open House will take place on May 1st, 5:15-6:30. Plainsview School is happy to announce the Before & After School child care provider is ParkPlay ! You must be registered at Plainsview School to access this Before & After School program. Registration for the 2019-2020 school year will open up online Wednesday, January 9th for families that are currently enrolled in the program.